When a good cop gets blown away in a drive-by shooting, the police department writes it off as a random act of violence. Big mistake. That young cop has a father who happens to be a street fighting, nerves of steel avenger, who has been trained by the special forces and is hell bent on one thing: Justice. 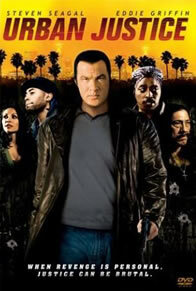 To find his son’s killer Simon Ballister (Steven Seagal) moves into the worst part of town where his welcome party turns out to be two gang members whom he sends home bleeding. Ballister isn’t easily deterred, and he” stop at nothing to find his son’s killer. But, these gangs have more men, more firepower, more police protection and the fearless and dangerous recklessness of youth – all of which Ballister plans to use against them.